I love to draw and here are some of my drawings. Great drawing! 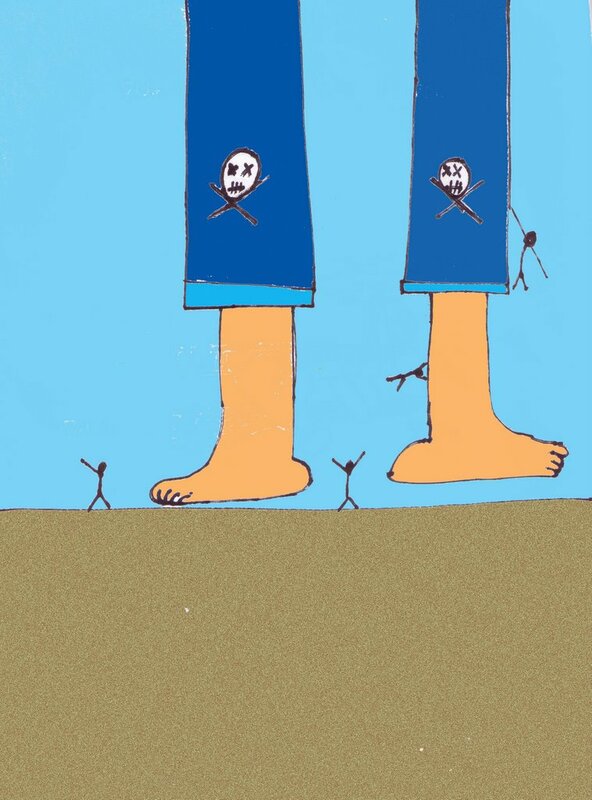 I hope no one gets stepped on :) Keep up the great illustrations!!! Those little guys look like they could give a pirate one heck of a time. This is cool! Well - that is indeed giant feet! Those little fellows are very tiny and thin compared to him - it's a fine drawing! Ha! That's awesome! Go Giant! I did a giant too, but yours is much cooler. 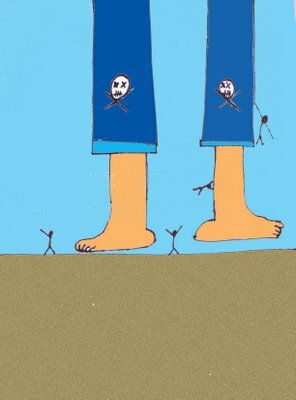 i totally laughed when i saw this, then i called my husband in to see it... i love pirates, i love giants and i love stick people.. this pic rules! This is a funny image. You have a funny style.